Every day there seems to be a new story about businesses or other organisations getting caught out mistreating sensitive private information. While the damage to a business’ good name can be severe, there are also potential serious legal consequences for failing to handle private data responsibly. Lawmakers around the world are paying increasing attention to the handling of private information. In Australia the Australian Privacy Act (APA) Act imposes fines as high as $420,000 for breaches of its regulations. While the APA exempts most businesses with turnovers below $3 million, Australian businesses can also be subject to even broader overseas laws. 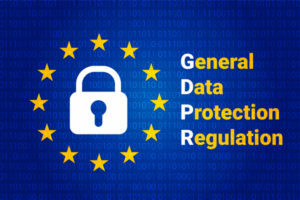 The European Union’s General Data Protection Regulation (GDPR) makes no exception for size, affecting any entity collecting data from EU residents or even accepting payments in euros. Penalties under the GDPR can exceed 20 million euros. Under these laws an organisation’s responsibilities extend from collection of data to its final disposal. When documents containing sensitive information are no longer required you need to make sure all private details are completely erased. Eshred provides an affordable document destruction service you can trust. Our security is second to none, with all staff involved in document handling cleared to a minimum of a National Police Records Check. All our facilities have been thoroughly investigated and approved to an accredited security level. Lockable Security Bins are dropped off and picked up by secure transport. Our comprehensive cross-cutting procedure reduces all paper documents to tiny fragments, after which they are transferred to a recycling facility for final, total destruction. All data is erased, protecting your business and your customers, and offering you peace of mind that no sensitive information can fall into the wrong hands. To book a bin and a document destruction service, phone Eshred on 1300 629 875.